Jamie Sorcher is an accomplished multimedia journalist known for her hard-hitting expertise coupled with a charming sense of humor. A word nerd and grammar geek, she is a tech enthusiast, gadget collector, and pop culture curator who reports on digital lifestyle tech. Sorcher has covered tech since 1995—from the arrival of satellite radio to the dawn of DVD to the demise of APS cameras and the fade-out of flip phones. She is at her best leading conversations, offering expertise and context for consumers, and sharing insights and fresh angles on our fast-paced techy world. In broadcast, Sorcher has earned recognition as a go-to turn-key techie during more than 4,500 TV and radio interviews. She has appeared on news programs, affiliates, and networks including WABC-TV, Ahead of the Curve on ABC News, The Early Show on CBS, NBC Nightly News, Good Day New York on Fox, Fox News, The Daily Buzz, and Radio Disney. She has delivered her expertise on everything from turkey fryers to high-definition TVs, and for segments ranging from dads and grads gifts to the top back-to-school tools to the latest and greatest gadgets from the show floor of the Consumer Electronics Show. Sorcher logged over 100 live segments as the Gizmo Girl, a role she originated, on ESPN’s morning show Cold Pizza, now called First Take. Some gadgets worked; others not so much, which always made for entertaining and engaging segments. 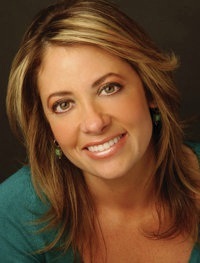 She served as a weekly columnist for amNewYork and has written for ESPN.com, All You, ShopSmart, Consumer Reports, Premiere, Home Theater, Sound & Vision, Home, Ty Pennington at Home, Unlimited, TWICE (This Week In Consumer Electronics), HFD (Home Furnishings Daily), Casual Living, Design Today, Furniture Today, Maxim, The Huffington Post, Shock, Cafemom.com, Etown.com, Mobile Electronics, Car Stereo Review, Uptown, Vision (the publication of the Consumer Electronics Association), and Business Journal of New Jersey, among others. Sorcher has also served as a media consultant and brand ambassador for tech companies such as Skype as well as handling Resident Lifestyle Expert responsibilities for a luxury home furnishings brand. She has interviewed dozens of celebrities, musicians, personalities, and sports stars including Joe Namath, Joe Torre, Lance Armstrong, Cher, Willem Dafoe, Arnold Palmer, Billy Bob Thornton, John Lithgow, Woody Harrelson, Kirsten Dunst, Steve Buscemi, James Franco, Olympia Dukakis, The Property Brothers—Drew and Jonathan Scott, John Madden, Geena Davis, Jeff Daniels, Bill Paxton, Michael Richards, Robert Altman, Sam Raimi, Ray Manzarek, Max Weinberg, Clarence Clemons, Aimee Mann, Alicia Keys, Grandmaster Flash, Nikki Sixx, and one of her favorites, Adam West (the original Batman). A graduate of Lehigh University with a Bachelor of Arts in Journalism, she recently received a certification from Rutgers University Business School. Additionally, she has attended the London School of Economics and the American Academy of Dramatic Arts.